I forget when was the last time I traded stocks. It must have been at least a few months ago because since I started this new job in June, I barely had any time during the day for *my own business* , but today I made a couple of purchases: one IPO stock and one DRIP stock. 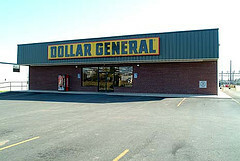 The IPO stock I bought today is Dollar General (DG), the discount retailer backed by Kohlberg Kravis & Roberts (KKR). With more than 8,700 chain stores mainly in the south and midwest, DG is the largest retail store by the number of stores operated. Though items sold at DG are mainly priced around $1, the retailer is generating $10 billion in annual revenue with positive same-store growth for 20 straight years. Even in this tough economic environment, DG has increased its sales by 11% so far this year, according to IPOHome. Despite the growth potential, the stock, priced at $21 a share, is rather rich with its 26.9 price-to-earning ratio, higher than its competitors such as Family Dollar Stores and Dollar Tree. A Morningstar analyst said the stock is only worth $18 a share. Anyway, I bought 83 shares of DG at $22.69 apiece at Scottrade. Speaking of IPO stocks, my purchases so far are a mixed bag. On one hand, I got China Life (LFC) and Visa (V) on the day they were issued and they are doing very good. On the other hand, I also had Black Stone (BX) and Giant Interactive (GA) which are total disasters. Let’s see how DG will do. Another stock I bought today is Boston Properties (BXP) through its direct stock purchase plan at ComputerShares. I have been looking at BXP for a long time, mainly for its dividend payout (currently at $2 a share), like other dividend-paying stocks I purchased through ComputerShares (except Bank of America which cut its dividend to 1 cent early this year after receiving massive bailout from the government). However, since BXP’s DSPP program requires $250 for each recurring purchase, I am not able to set up an automatic investing plan as I did with other stocks. Good luck with the IPO! There seems to be a FLOOD of new issuances recently to take advantage of the liquidity driven bull run. Everybody is cashed up, so fingers crossed this run continues.